Stoker Home & Garden Maintenance - Home Improvements, Landscaper based in Wokingham, Berkshire. 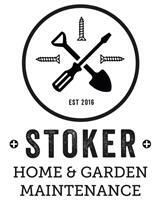 Welcome to Stoker Home & Garden Maintenance. We are a local, family run business and pride ourselves on quality and to making your home and garden beautiful. No job too big or too small, we cover an array of services for your home from fixing a shelf, painting & decorating, laying beautiful new flooring/carpets and hanging doors to maintaining your garden as well as landscaping, decking, laying patios, building outhouses, treehouses and sheds. If you are looking for a bespoke built treehouse bunkbed for the childrens room or a shelving unit for the house, we can help with that too. If you have a Home/Garden project that you would like to discuss, then we'd love to hear from you!